Not-for-profit – revenue is invested straight back into the company, instead of into the directors’ pockets. No exit fees if you do decide to switch. Can you save by switching to or from Robin Hood? 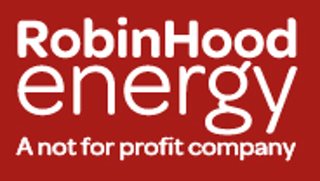 A not-for-profit company, Robin Hood Energy was set up by Nottingham City Council with the aim of making low cost energy available to all households. They are the only energy company to be wholly owned by a local authority, foregoing director bonuses and payments to private shareholders, instead investing revenue straight back into the business, doing everything they can to ensure that their customers get the best deals. Despite being owned by Nottingham Council, most of Robin Hood’s tariffs are available throughout the UK. In order to encourage customer loyalty, Robin Hood guarantee their customers consistently low prices when they renew, and charge no exit fees on their tariffs, should their customers wish to switch.